Well that doesn’t sound unreasonable. 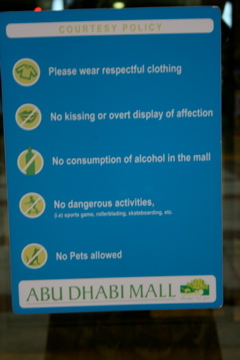 I’m trying to increase the photo to see what the “dangerous activities” might be. It’s a mall, right? so presumably they’re not talking about BASE jumping. Define respectful clothing. That’s my big question.